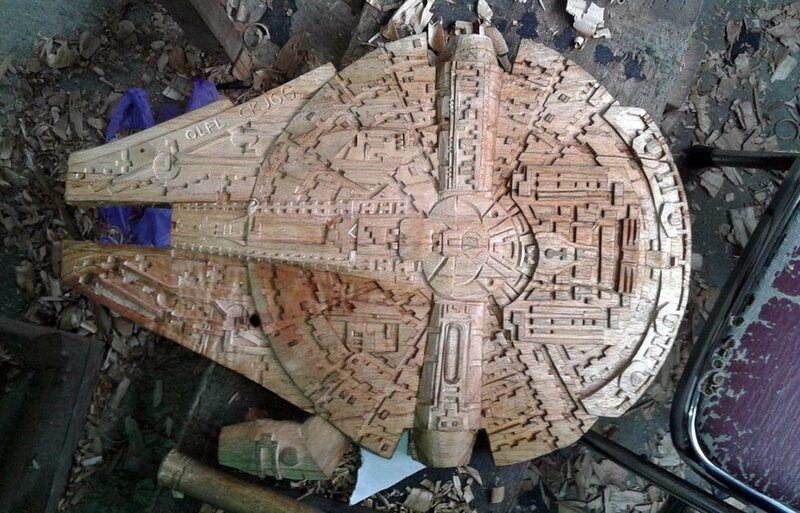 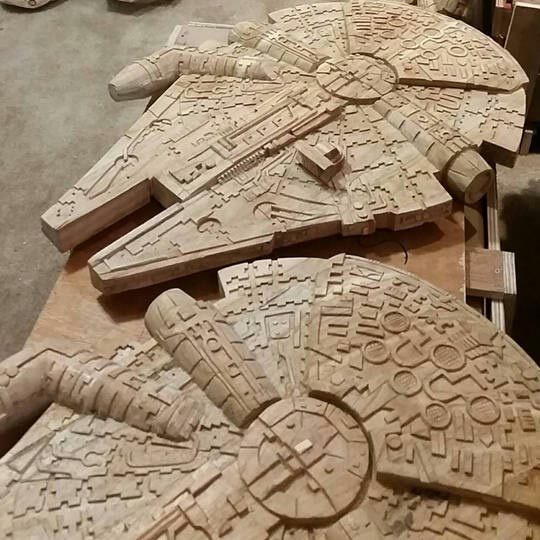 This Hand Carved Wood Star Wars Millennium Falcon is massive and heavy. 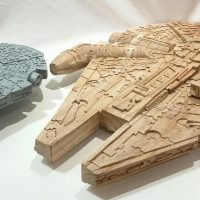 It measures over 32 inches long and is 100% hand carved by Kevin from lovemycustomwood out of solid White Cedar wood. 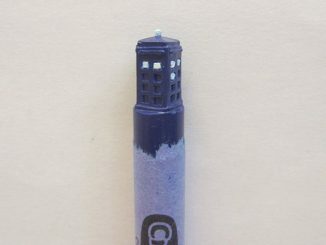 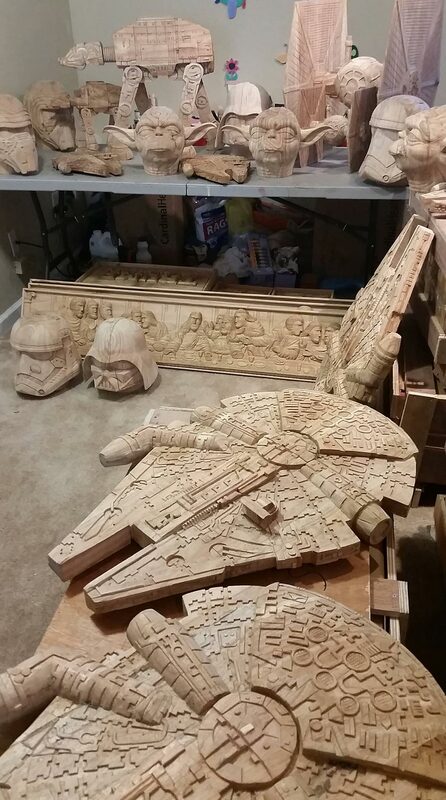 You can choose to have it in natural wood, or get it painted. 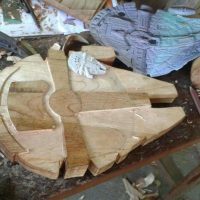 It would look incredible if you get natural wood, apply a stain, and then give it several high gloss clear coats for a deep shine. 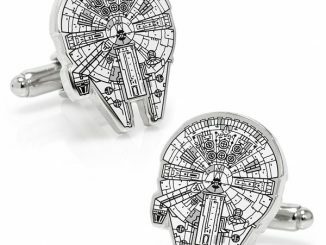 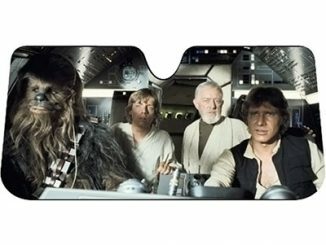 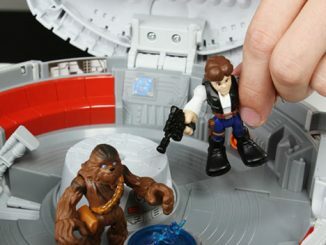 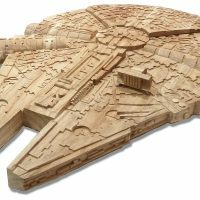 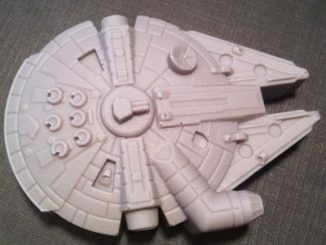 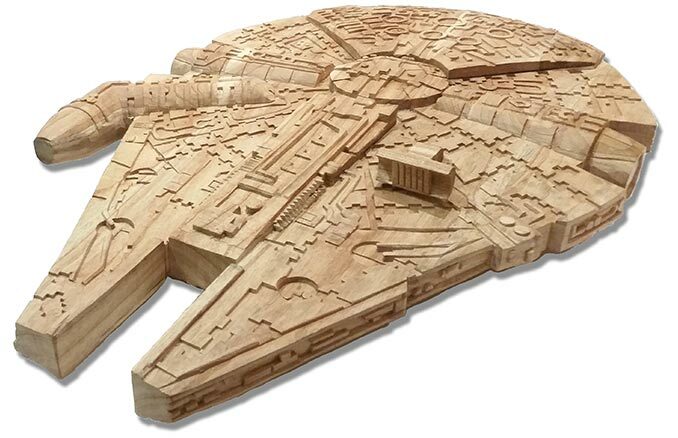 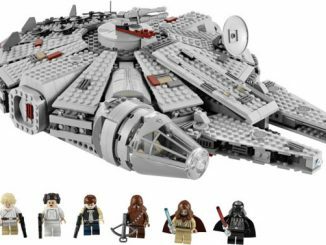 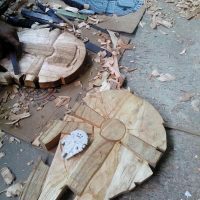 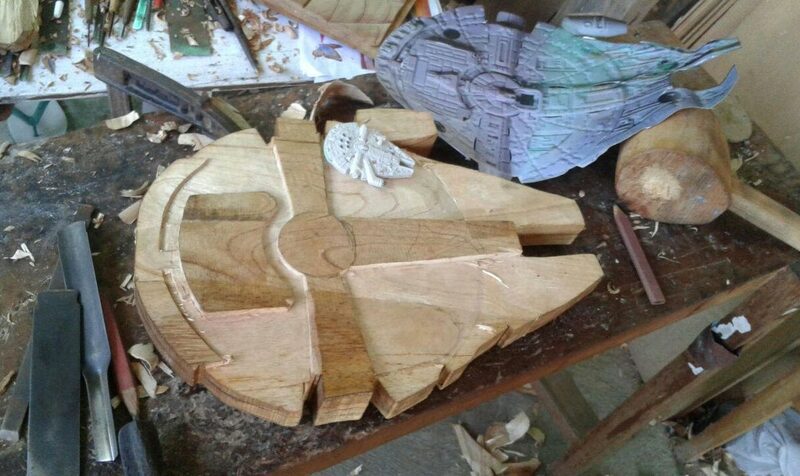 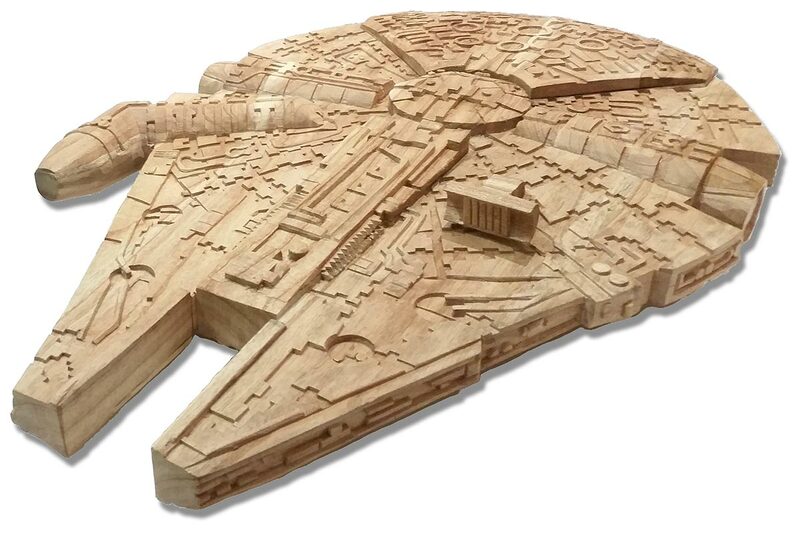 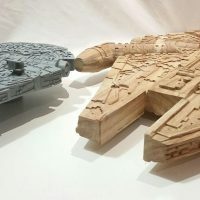 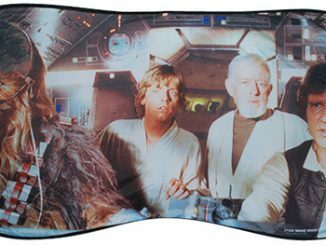 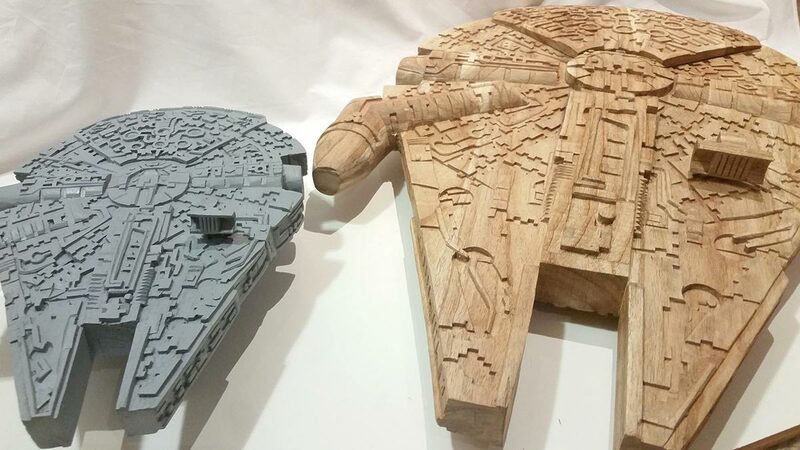 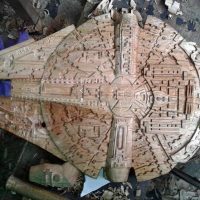 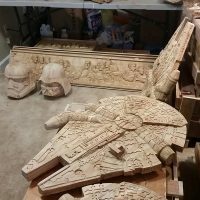 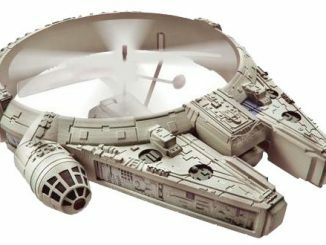 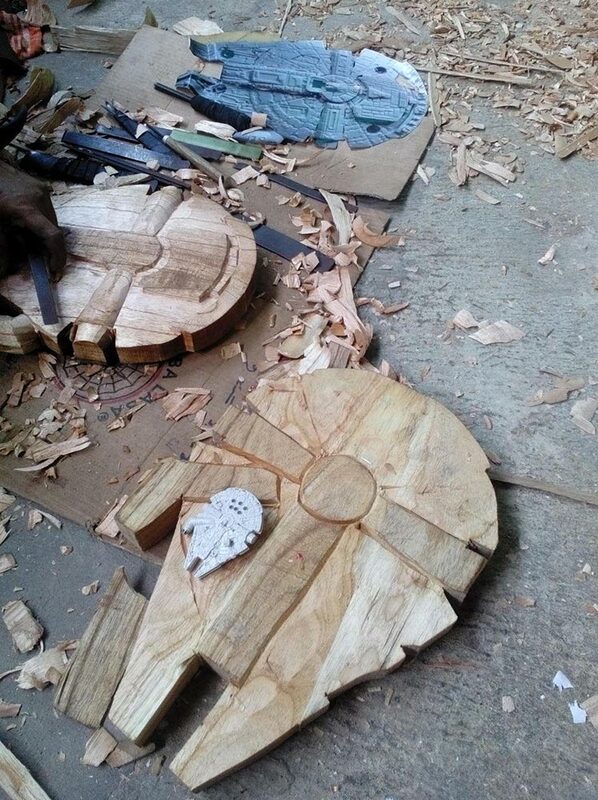 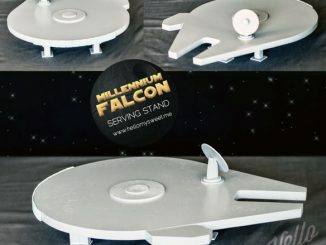 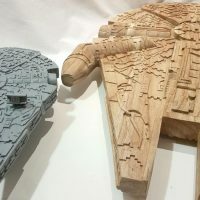 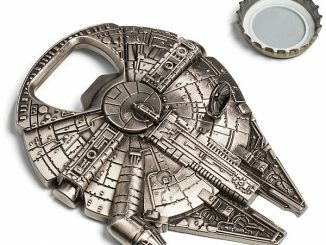 Order the large Hand Carved Wood Millennium Falcon for $200 at Etsy.com. 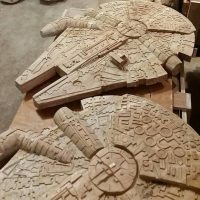 Get it painted for an additional $25. 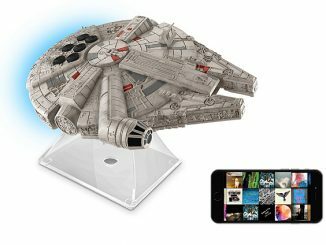 You can buy the Small Version for $100.